This month’s church orphan ministry webinar from Christian Alliance for Orphans, titled “Microfinance and Orphan Care,” is now available online. You can read the overview description below. Access the "Microfinance and Orphan Care" webinar by clicking here. You can access other past webinars on the Alliance webinar page. "Most orphans know poverty intimately. It is a primary reason children become orphans in the first place, and often impacts orphans deeply through their childhood and beyond. So addressing poverty directly is a vital facet of caring for the orphan—from helping struggling families stay together, to providing a livelihood for orphans as they enter adulthood. "There may be no tool more important in these efforts than microfinance, which is widely recognized as one of the most significant ways to help the entrepreneurial poor overcome poverty. "On this webinar, learn about the key elements of microfinance and how those serving orphans can work to unite orphan care and economic development to address the global orphan crisis head on." Click here for the webinar, "Microfinance and Orphan Care". 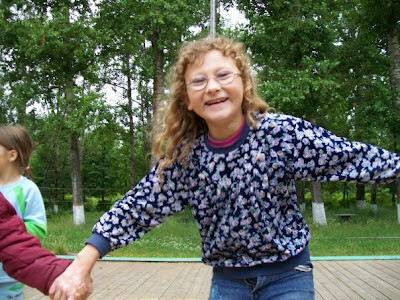 Help orphans in Russia who will never have the opportunity to be adopted. Click here.